>HarperCollins executives Sam Missingham and Jim Hanas debunk 6 myths about email marketing for book publishers and share best practices. In Sam’s experience running conferences, subscriptions, and awards, email marketing drove 90% of all sign ups and revenue. Importantly, customers responded to emailed calls to action despite lots of other marketing activity that reached them. Email made them act. If you’re still not convinced, consider the rapid rise of lookalike targeting services from the likes of Facebook, and—now—Google. What do they use as unique identifier? Email, with no likely replacement on the horizon. It is not an exaggeration to say that HarperCollins has made a huge global commitment to email marketing and its direct-to-consumer programs. We spend a lot of energy building our email databases, refining emails, measuring success, and improving performance. Across the business, we have multiple divisions with databases in the seven figures that generate significant revenue from direct-to-consumer activity. 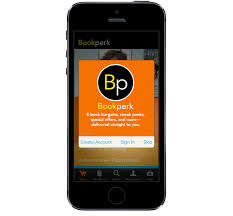 As it expands to the U.K., our Bookperk daily deals platform alone will approach 1MM registered users worldwide. And as Jim argues, the shift to mobile has made email more effective at selling e-books, as it gives marketers a way to reach readers just clicks away from a transaction on the devices where they now do their reading. In our experience, social media drives conversation, raises awareness of books and authors, and builds credibility. These are all powerful and valuable for you and your business, but email converts people to buyers. People do buy books directly from social media—and this will certainly happen more as platforms make this a priority—but our tests suggest that email is between 4 and 22 times more effective than social networks (depending on the network) at driving users to a destination. Social conversion is also more difficult to measure. As Sam notes, the beauty of email is that every element of it is measurable. If you are very clear about the aim of your email and people unsubscribe, they are of no use to you. You should anticipate a .1-.5% of people unsubscribing from your email, but you should be building the database for that email with more relevant and targeted prospects. As you hone the list, you will see open and click rates increase, and ROI improve. Building a huge email list take times and there are no shortcuts. However, Sam notes that small, targeted lists can be as effective at achieving marketing goals. How successful your email list performs, starts at sign up. Being very clear about the proposition is essential. Why should they sign up? What’s in it for them? If you are unsure how to identify your prospective customers, encourage them to identify themselves. Here’s an example: Sam ran a campaign in May called ‘Scrabble Week’ to promote the Collins Scrabble Words dictionary, asking people to sign up to a week’s worth of emails containing Scrabble tips, ideas, videos, and downloads that would help Scrabble fans with their game play. Clearly, this campaign was only attractive to Scrabble fans and these are the only people likely to buy the Scrabble Words dictionary. Sam built a fairly modest but highly focused database of relevant prospects. This database then becomes the heart of ongoing Scrabble-related marketing. Open rate is the first metric everyone learns when they get involved in email marketing, but it is not the most important, according to Jim. That’s because no metric—not even open rate—can be considered in isolation. That’s right, there can be no single most important metric. Don’t believe it? Consider this. You could easily achieve a perfect, 100% open rate by just sending to the ten people who never fail to open your email, but this could hardly be considered marketing success. Your most important metric is determined by your objective—number of sales, revenue, site visits—then things like open rate become diagnostic metrics as you seek to optimize your results. We have both met marketers in publishing who seem to have a fear of over-emailing their list. Anyone sending newsletter very infrequently are in fact probably harming their relationships. Subscribers will probably completely forgotten who they are and wonder why the sudden email. One of the keys to email success is that customers receive something regularly and start to anticipate your email and what it offers. Far too many publishers treat their own emails as a nuisance that they should inflict on consumers only sparingly, but—done properly—people who love books experience emails that tell them about books, not as spam, but as a service. When Bookperk does not go out on time in the U.S., Jim gets tweets from fans, wondering where it is—and that’s an email that goes out every day. Sam recommends a month as the longest period between emails and, if possible, recommends sending them much more frequently. If your primary aim is to drive sales, then a simple test would be to increase the frequency see the impact. There is, of course a sweet spot between frequency and engagement that you will need to work out. At HarperCollins, we send different emails that have different objectives and we look at the results to find the sweet spot for each of them. But as a very general rule, we have increased the frequency of our emails overall and our sales are growing rapidly. As an industry, we are very fortunate that people love our products and have a big appetite for information about them—so don’t be afraid to give it to them. 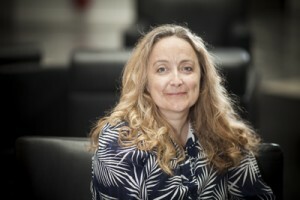 Sam Missingham is head of audience development at HarperCollins in the U.K. Jim Hanas is senior director of audience development and insight at HarperCollins in the U.S.